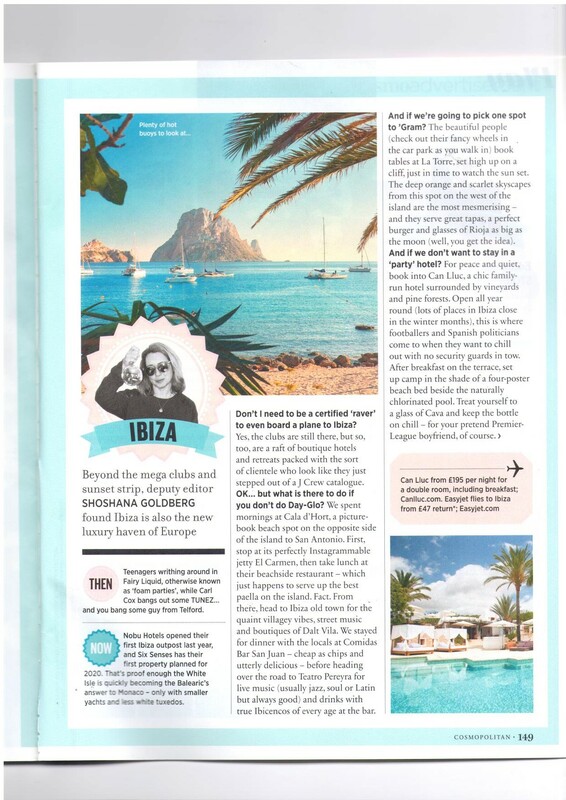 Cosmopolitan UK wants to show its readers another side of Ibiza, and journalist Shoshana Goldberg is on hand to give them a peek. First things first, she says, there is fun away from the clubs and the nightlife. Goldberg suggests visitors start with a trip to the beach at Cala d’Hort before winding up with a glass of wine at a Dalt Vila bar. The British correspondent praises the island’s signature sunsets, but stresses there’s no need to follow the flock to get the glamour. Off the beaten path, she says, will do just fine. Choose to stay at Can Lluc if what you’re looking for is peace, quiet and a bit of the outdoors. Imploring her audience to discover Europe’s newest luxury paradise, the journalist quips that Ibiza is the Balearic option to Monaco with smaller yachts.